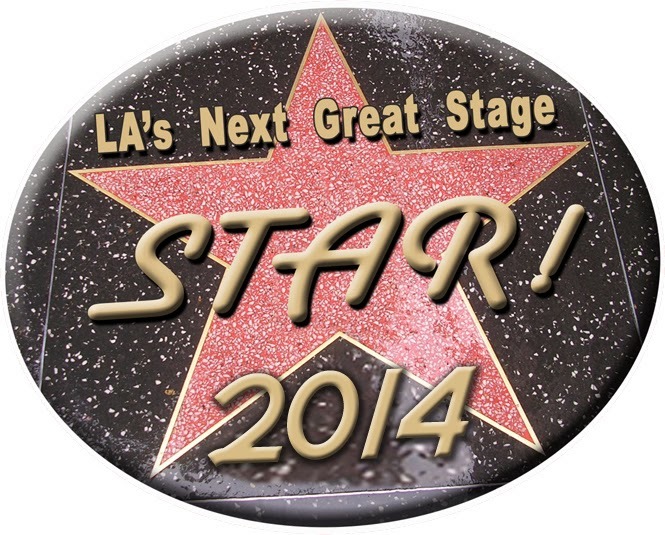 Audition for LA’s Next Great Stage Star® 2014 on December 15! Sterling’s Upstairs at The Federal, the most critically acclaimed, award-winning supper club of its kind in the greater Los Angeles area, has set Sunday, December 15 as auditions for the 8th consecutive year of LA’s Next Great Stage Star®, announces executive producer Michael Sterling of Michael Sterling & Associates. For her third year - actress, concert headliner, businesswoman and arts philanthropist Barbara Van Orden joins Sterling as producer by gifting LA’s Next Great Stage Star® with the Barbara Van Orden Grant which provides invaluable financial assistance for production of the annual competition. www.barbaravanorden.com. Los Angeles musical theatre and television performer/writer/director/producer Peter Welkin (www.peterwelkin.com) returns for the second year as associate producer, with the incomparable James Lent set as musical director for his fifth consecutive season. Interested talent may call Michael Sterling & Associates at (818) 623-7300 x 2 to request an audition appointment. Auditions are by appointment only and will be scheduled between 10:00 am and 4:00 pm at the Performing Arts Center (www.performingartscenter.net) located at 7735 North Sepulveda Blvd, Van Nuys, CA 91406. A musical accompanist will be provided. LA’s Next Great Stage Star® 2014 will be presented as a series of six Sunday matinees beginning January 5 and continuing on January 12, 19, 26 and February 9, with its much anticipated finale to be presented February 16. The reality competition will be presented to a live audience of 100 each Sunday. Patterned after “an audition process”, the competition is geared to discovering new talent for the musical theatre stage. As has become the standard, 20 contestants will be selected from auditions to compete for the 2014 title, a $1000 cash award, a headlining engagement at Sterling’s Upstairs during the New Year, and other valuable prizes. Contestants selected from auditions to compete in the competition are subject to a one time entry fee of $400. This year’s competition will once again be judged by a live audience and an overall panel of LA musical theatre’s most creative forces. Judges will give a live critique to each contestant at every competition. Audience members and Judges will also vote on vocal and acting ability, stage presence and personality. Judges last season for LA’s Next Great Stage Star® 2013 included Mark Simon, Michael Donovan, David Elzer, Michael Matthews, David Galligan, Cate Caplin, Matthew Neves, Robert Marra, Dan Mojica, Roger Bean, T.J. Dawson, Richard Israel, Calvin Remsberg, Bruce Kimmel, Carol Weiss, and agents Jodie Bowman, Sasha Passero, Dave Secor, Steven Dry, and Mark William Smith. Contestants will compete at each competition with no eliminations until the Finale on February 16, 2014. Following the final sing by all 20 contestants on February 16, the Finale will determine the selection of one winner and four top finalists. Additionally, the winner of LA’s Next Great Stage Star® 2014 and its four runners-up will also be awarded audition opportunities by LA based producers, directors and casting directors. To date, Lewis Wilkenfeld/artistic producer/director Cabrillo Music Theatre in Thousand Oaks, CA; Julia Flores/Casting (McCoy/Rigby, La Mirada Theatre for the Performing Arts in La Mirada, CA, and the Pasadena Playhouse in Pasadena, CA); Glenn Casale/artistic director Sacramento Music Circus in Sacramento, CA, and Steven Glaudini/artistic director Moonlight Amphitheater in Vista, CA) have participated with the competition since 2010. As a direct result of the competition, more than 50 of the annual competition’s overall 140 contestants have been cast in top regional theatre shows, Broadway national tours, Las Vegas productions, and network television shows; while 8 have already made their Broadway and Off-Broadway debuts. An average of 50 percent of “all” contestants in each year’s edition of Stage Star are signed by the competition’s musical theatre agent/judges.